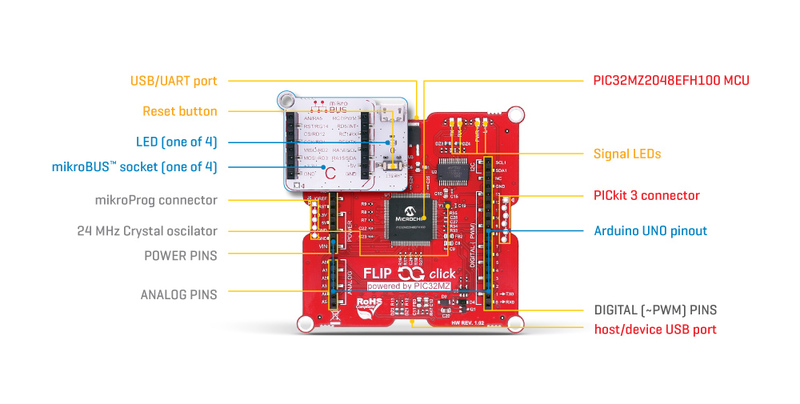 Flip&Click PIC32MZ is a two-sided development board with a split personality. It can be used with chipKIT core (Arduino-style development environment), but it can also be used with mikroC, mikroBasic, and mikroPascal for PIC32. It’s a beginner-friendly rapid prototyping tool expandable with up to four click boards. Plug in Flip&Click (use the USB port between C and D socket). Plug in Flip&Click PIC32MZ (use the USB port between A and B socket). Download your code on MCU. In Arduino-terms, click boards™ are like mini shields. 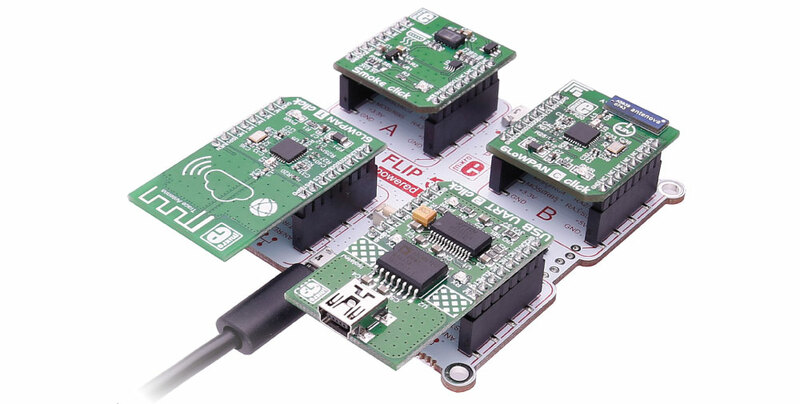 Their small size allows you to add up to four different sensors, transceivers, encoders, or any other types of chips or modules while keeping the design compact (no stacking). More than 300 click boards™ are available. For any questions or tech support you might need, your go-to source of wisdom is the MikroElektronika helpdesk. We are happy to help. All we ask in return is that you have fun with your Flip&Click PIC32MZ.